Crofts Estate Agents are pleased to market this extended three bedroom semi detached property which is in need of a full refurbishment throughout. Located in the bottom of the cul-de-sac down Thornton Place, this property has the potential to be a stunning family home and does require gas to be connected to the house. 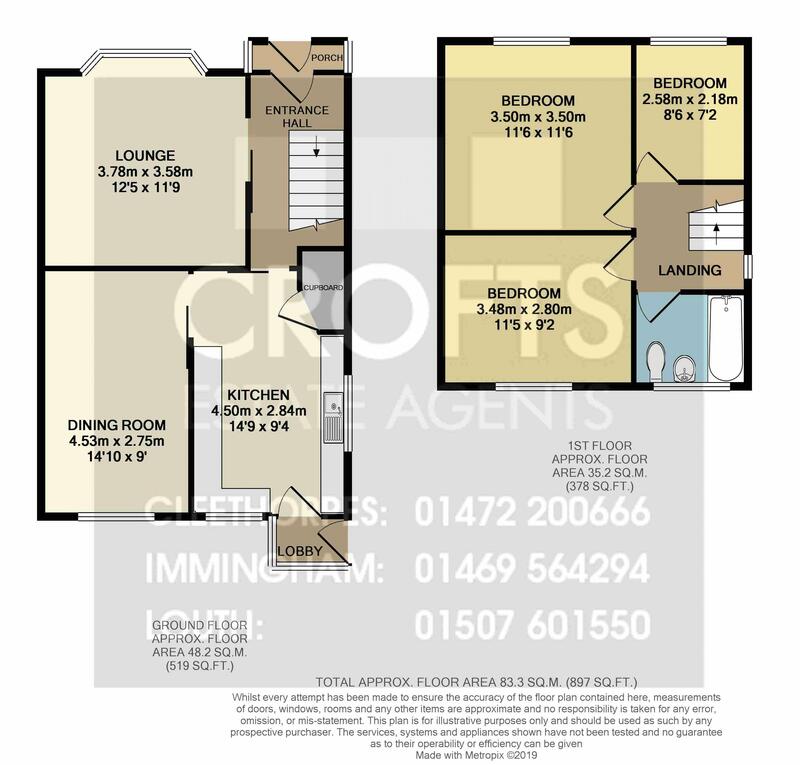 The ground floor comprises of an entrance porch, hallway, lounge with bay window, dining room and rear kitchen. The first floor has the master bedroom with bay window, second double bedroom, front single room and a rear bathroom with three piece suite. The back garden is a great size and looks out onto the rear bowling green. There are nice garden to the front and rear, drive with car port for shelter. No forward chain attached so arrange a viewing today. The lounge is located to the front of the property and has a uPVC bay window which looks out onto the front garden. The room offers good proportions and is in need of modernisation with new decor and carpets etc. The dining room is extended to the rear and this creates a fantastic sized space. There is a rear window which faces out onto the back garden and there is potential to knock through into the kitchen to create an open plan kitchen dining space. The kitchen is a good sized room which has units running along three walls providing excellent storage space. The room is a nice bright space due to there being two uPVC windows. The first of the bedrooms is located to the front of the property and benefits from having a bay window to the front which provides the room with more space plus more light. A good double size which requires a scheme of modernisation. The second of the bedrooms is a double in size and looks out over the back garden. In need of modern decor and carpets etc. The third bedroom is located to the front of the property and faces out onto the front garden. The smallest of the three rooms, it is still a god sized single room. The bathroom currently has a three piece suite which includes a bath, wash basin and toilet. The room could benefit from having a new suite installed. The back garden is a lovely outdoor space which benefits from trees, mature plants etc plus a rear greenhouse and shed. The garden backs onto the local bowling green so isnt overlooked at the rear.